Will the Swedish fans be celebrating after their match with Turkey? 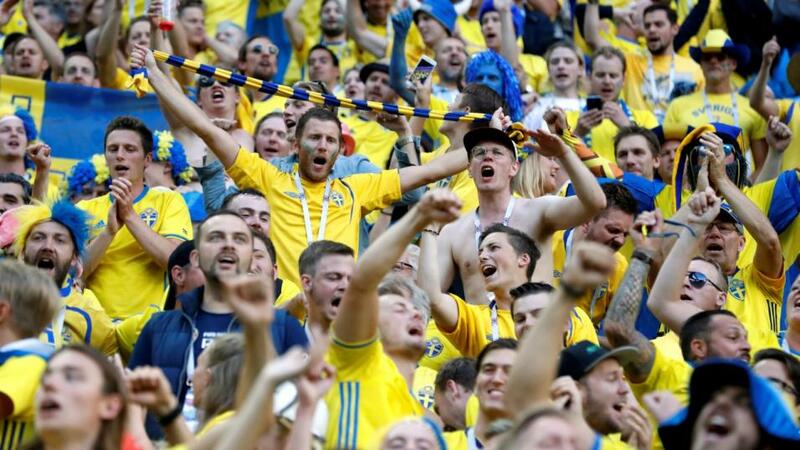 Dan Fitch gives his best bets for Monday's Nations League games and is predicting another slim win for Sweden. "Five of Sweden’s last six wins have been decided by a single goal, with the exception being an 8-0 victory over Luxembourg." Andorra have now gone four games without conceding a goal, with their last three outings all finishing 0-0. The most recent of those matches saw them gain a useful point in the Nations League, when they claimed an away draw at Latvia. Kazakhstan are bottom of Group 1 after losing 2-0 at home to Georgia. Having drawn a blank in Thursday's game, Kazakhstan could struggle to find the net against Andorra's reliable defence, even though they are favourites. Back under 1.5 goals at [2.62]. Both of these sides are in good form. Kosovo claimed an away draw in Azerbaijan in their Nations League debut, extending their unbeaten run to five games. They have won all three of their home matches during this period. The Faroe Islands have now claimed back-to-back victories, including a 3-1 win over Malta on Friday. They're not won away from home since October 2016 though and lost 2-0 the last time they travelled to Kosovo. The home win looks likely at [1.58]. Malta are now without a win in eleven matches, so it's no surprise to see that the visitors Azerbaijan are the favourites to claim victory. Azerbaijan drew 0-0 with Kosovo on Friday and have now only lost one of their last five games (W2 D2 L1). Back them at [1.6] in the Draw No Bet market. Lithuania are not a good side, but Montenegro are a very short price when you consider that they themselves are in poor form. Montenegro are without a win in seven matches, though they can be pleased with their 0-0 draw away in Romania in the UNL on Friday. That stalemate meant that Montenegro have now drawn four of their last five games. Lithuania come into this match after three straight losses, but having only been narrowly beaten by Serbia, it's worth taking a chance on them drawing at odds as big as [4.8]. Serbia took charge of Group 4 of League C with an away win in Lithuania, on the same night that Romania could only claim a home draw with Montenegro. The Serbs performed well at the World Cup and were unlucky to be in a group with teams as good as Switzerland and Brazil. Back them to take a big leap towards promotion to League B with a win at [1.66]. Sweden reached the quarter-finals of the World Cup and should claim victory against a Turkish side that were beaten at home by Russia on Friday night. In nine home games under Janne Andersson, the Swedes have only lost once (W5 D3). Five of Sweden's last six wins have been decided by a single goal, with the exception being an 8-0 victory over Luxembourg. The odds of [3.75] for Sweden winning by one goal look generous.